Australia needs an innovation "insurgency" with school children as young as five or six learning computer coding alongside mathematics, science and English. That's according to communications minister, Malcolm Turnbull, who said more Australian students needed to study STEM (science, technology, engineering and mathematics) subjects, if Australia was to remain a "high wage, prosperous, developed country with generous social welfare". 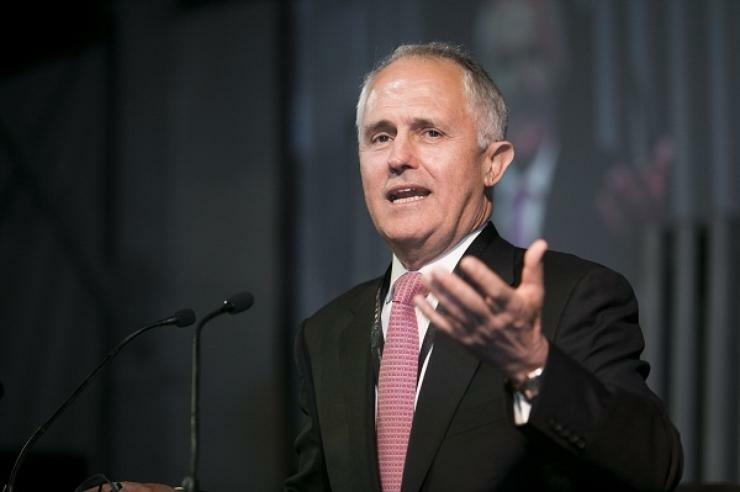 Turnbull made the comments during an address to the National ICT Australia Techfest conference. "It's quite clear we need many more students studying STEM subjects," he said. "We really should have every student acquiring some familiarity, if not expertise, to machine languages... that is the new literacy: Reading, writing, arithmetic, and coding. He said only half of year 12 students were currently studying science, compared with 94 per cent 20 years ago and praised NICTA for the 410 PHD graduates it had been responsible for training. "We can't ignore the fact that too few students are choosing to study STEM subjects," he said, to a throng of young students, technologists and NICTA staff. "ICT skills such as coding should not be only subjects offered in years 10-12, that's too late. We have to get to students as young as five or six." But despite Turnbull's generous praise for NICTA, he inspired little hope in the possibility of the organisation's funding being reinstated, after the 2014 federal budget revealed funding would cease in the 2015-16. "There were budgetary constraints," he said. "I'm confident that NICTA will continue to evolve and remain Australia’s preeminent body for research, collaboration, technology training and research commercialisation”. NICTA will recieve $84.9 million over the next two years, after which it will rely entirely on private sector funding. Turnbull cited Germany as a country which had successfully straddled the wave of new technology to bolster the economy. However, when pressed on future NICTA funding and the NBN, he was quick to administer a dose of threatricality. "You can't be like King Canute trying to turn the tide back; you've got to be like the great surfer who says, 'Yep, there's a very turbulent sea out there, I can ride that,' so in other words, make volatility your friend."